Rely on us to develop your specific product solutions. When it comes to nonwoven, composite, specialty and woven products of any weight and width, we provide the solutions you expect. Fabric Sources International offers the only U.S.-based wide-width hot melt adhesive spray lamination, plus an extensive inventory of products designed to meet both your primary and secondary backing needs. 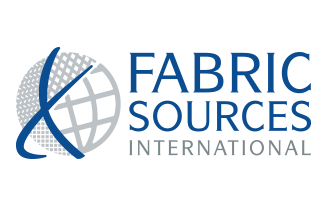 Fabric Sources International leverages our superior global buying power to create the largest inventory of its kind in the U.S. We have the capability to lead you to your specific industry solution and design exactly what you need. 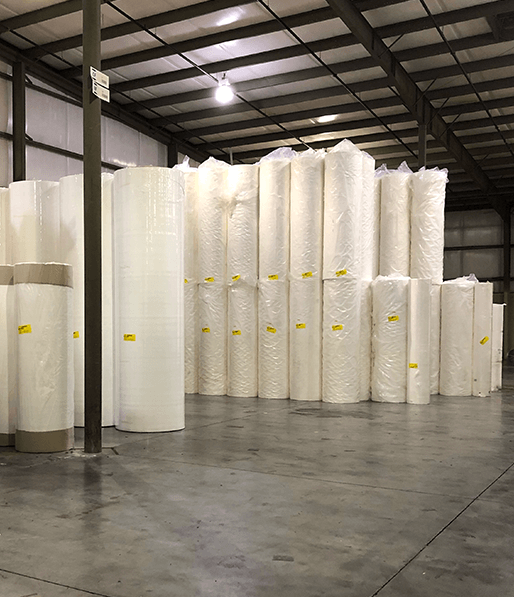 Fabric Sources International’s production and converting facility based in Dalton, Georgia offers a diverse array of nonwoven, composite, specialty and woven products and services. Our 160” wide hot melt adhesive spray lamination line can add value to your products, whether you need breathable moisture barriers, post-consumer recycled products, anti-skidor peel-and-stick solutions, or composites for various industry applications. We have the capability to create industry-specific solutions for a diverse array of foams and fabrics. Our custom-made 85” wide roll coat application line offers cost effective, time saving, pre-applied adhesive packages that allow for easy installation, repositioning, and removal. No Matter What Custom Solutions You Need, We’re Your Trustworthy Source! ©2019 FSI (Fabric Sources International). All Rights Reserved.